KEEN TO LEARN MORE ABOUT BOWHUNTING? 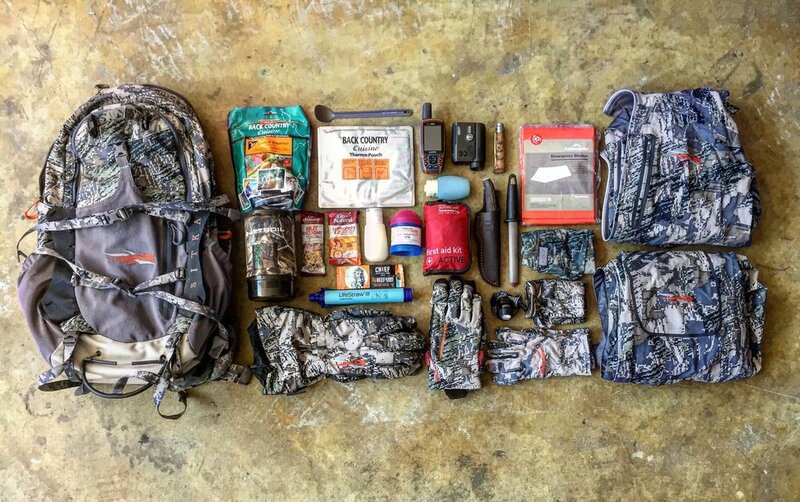 Recently I've had a lot of Bowhunting Beginners mail or message me on what I take for a Bowhunting day trip in my pack. Long story short... you don't want to over pack as excess weight can take its toll on long, arduous hikes and extra items can take up so much valuable room especially if you need to field dress your game and pack it out. I actually have 2 packs... a early to mid season pack and a late season pack. Here I give you the essential breakdown of my early/mid season day pack. I've also included my top 4 items that are a MUST in any good pack. The Back Country Thermal Pouch is an essential part of my pack for 3 reasons. All of them more for survival purposes than anything else. 1- The high heat retaining properties of the pouch will allow your freeze dried meals to stay up to 50% warmer for 50% longer adding heaps internal warming when cold. 2- The High Reflection of the pouch acts as a great reflective light beacon if in distress and trying to get attention. 3- When you're done cooking with it stick your cold hands in it. The residual heat left over from your meal will warm your hands up and the insulation of the pouch will continue to warm your hands well into a long emergency sit if needed. I love this knife... so much I have 3 of them... one for each pack! 2 Major benefits of this knife are. This is a MUST... If you get caught in the bush without water... you're doomed... Water sometimes can be hard enough to find BUT if you do find it how do you know what quality it will be at? I guarantee in that kind of situation 9 times out of 10 the disease and bacteria in the water will wreck you. The Lifestraw is your go to emergency filter, it'll filter out all of the nasty bugs and give you clean, liveable drinking water in an emergency. Obvious but necessary... So many times I've been glad to have my trusty First Aid Kit with me. Mine is very customised... Butterfly bandage, Saline Solution, Thermo Blanket even Stitches and a Scalpel. You don't need to go that crazy but make sure you do have one on you at all times. Apart from that, I consider the list below a bare minimum ESSENTIAL for the Day trip... you never know what situation you'll get into and having a plan B,C and even D is way better than no plan at all.